If you were ever compelled by the feature film, Touching The Void, here’s one for you. In 2006 Australian mountaineer Lincoln Hall scaled Everest. 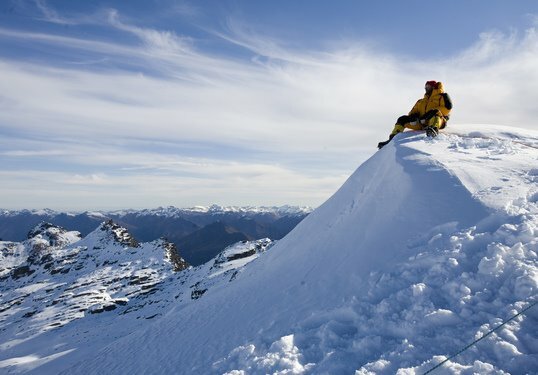 It was his second attempt at the challenge after an earlier attempt saw him have to turn away before reaching the peak. Along the way his team passed the remains of several who had not been so lucky. Tragically, at that end of the world it isn’t always possible to be brought home. This time he reached the top, but something went terribly wrong on the descent. Hall began to lose consciousness. His team tried to rouse him but, losing all perspective, Hall began to fight them off. With time and weather running against them, they called for extra help from their base camp further down the mountain. Four Tibetan sherpas climbed to his location and tried to assist. But again, Hall resisted, giving them no option but to leave him. At such a high altitude, Hall was left in “The Dead Zone” -an area where faculties and life support shut down. His family was phoned and told of the tragedy and headlines began appearing about the death of Hall. But something happened. This story was not over. This documentary is marked by interviews with Hall, his wife and the team from Everest. As well as actual video footage there are re-enactments beautifully shot in breathtaking landscapes. As it turns out, the scenery isn’t actually Everest, but New Zealand alps. It’s a small point, the story telling is what’s important here. This true story is hard to comprehend, and fully deserving of its title. It also looks amazing on a big screen. Miracle on Everest screens 8:30pm Tuesday on ABC1.